Joaquim is spot on to draw the attention to tech start-ups from outside market research, which bring innovation to our industry. I have experienced this first hand when working with such “outsiders”. They don’t start with a particular industry in mind, but use all their talent and energy on very specific tasks to either obtain deeper insights or speed up the insight generation process. Artificial Intelligence based analytics applications that are designed to understand and analyse unstructured data like text, pictures and video at scale are great examples. As stated in my previous blog ‘harnessing information within market research’ the lack of market research expertise of such solutions has led to a lower adoption of such technologies within our industry, but rest assured: they learn fast. In fact, learning is intrinsically built into such technologies by design. Think about learning algorithms. Such tech companies start by adding an ontology layer on top of their analytical engines by encoding market research expertise into their solutions. What drives the innovation agenda? Next to the very valid reasons that Joaquim lists as to why the market research industry has been slow in embracing tech innovation, I add outsourcing to the list. Outsourcing to countries with lower wage rates constrains the adoption of innovation. Research and fieldwork agencies have outsourced tasks and processes with high technical potential for automation to countries with lower wages instead of driving the innovation agenda. On top of this, the outsourcing strategy of market research agencies very often focuses mainly on cheaper labour costs and completely misses the point to tap into the incredible talent pool and innovative forces within the countries where processes have been outsourced. I have experienced first hand how the exciting tech start up scene in Sofia, Bulgaria is shaking up the tech world, which also true for other Eastern European counties. Salary adjustments in these countries put increased pressure on the already squeezed gross margins of research companies and ultimately force companies to innovate or die. 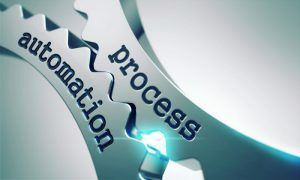 A recent McKinsey report made it very clear that Data Collection and Data Processing are – after predictable physical activities –the most susceptible activities to be automated. Over 60% of these activities can be automated by adapting currently demonstrated technology. Imagine how big this can and will go at the current rate of innovation! As an industry let’s embrace and explore these exciting tech innovations and let machines undertake rote tasks that do not stretch the human capabilities, so we can apply our innate human skills to creating a better world.